This news could be hard to believe, the number of continents that you have studied in school are not the only ones on earth. Geologists usually join Europe and Asia into a supercontinent — Eurasia — making for a total of six geologic continents. But that’s not the news here. According to a new research, Geologists claim that there is another continent “Zelalandia”, and we were not able to figure it out from ages. A research published in GSA Today, a journal of the Geological Society of America, by 11 researchers claim that New Zealand and New Caledonia aren't just island chains. They're both part of a 4.9 million-square-kilometer portion of continental layer that's different from Australia. They said: “This is not a sudden discovery, but a gradual realization; as recently as 10 years ago we would not have had the accumulated data or confidence in interpretation to write this paper". "These people here are A-list earth scientists, I think they've put together a solid collection of evidence that's really thorough. I don't see that there's going to be a lot of pushback, except maybe around the edges." What is reason the reason of calling it a totally new continent? Luyendyk called it Zelalandia in 1995 but it wasn’t considered as a continent that time. The name was just used to define New Zealand, New Caledonia, and a region of Gondwana, a 200 million-year-old supercontinent. "The reason I came up with this term is out of convenience. They're pieces of the same thing when you look at Gondwana. So I thought, why do you keep naming this collection of pieces as different things?" 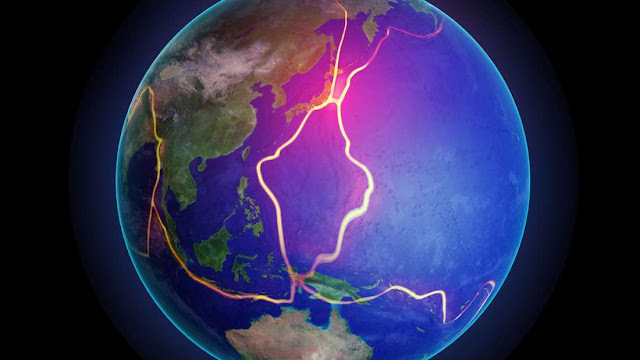 There are some reasons, which made geologists curious about this continent and they started researching, then called it a totally new continent. 1. Land that pokes up relatively high from the ocean floor. 2. A diversity of three types of rocks: igneous (spewed by volcanoes), metamorphic (altered by heat/pressure), and sedimentary (made by erosion). 3. A thicker, less dense section of crust compared with surrounding ocean floor. 4. "Well-defined limits around a large enough area to be considered a continent rather than a microcontinent or continental fragment." The new study used recent and comprehensive satellite-based advancement and gravity maps of the unique seafloor to demonstrate that Zealandia is indeed part of a unified region. The data also suggests Zealandia sizes roughly the area of greater than India. "If the elevation of Earth's solid surface had first been mapped in the same way as those of Mars and Venus we contend that Zealandia would, much earlier, have been investigated and identified as one of Earth's continents." Zealandia is separated by 25 kilometers from the continent Australia. Australian Plate and the Pacific Plate are the reason for Zealandia in its division into northern and southern segments by two tectonic plates. But researchers say that Arabia, India, and parts of Central America have likely partitions yet are still considered parts of larger continents. "I'm from California, and it has a plate boundary going through it, in millions of years, the western part will be up near Alaska. Does that make it not part of North America? No. The economic implications are clear and come into play: What's part of New Zealand, and what's not part of New Zealand?"